"Ohhhh, it's a jolly holiday with...no technology!" 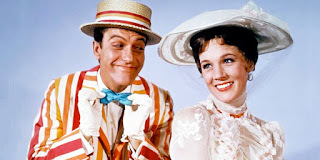 Okay, so it doesn't go quite as well as "a jolly holiday with Mary," but you get the idea. I usually post every weekend, usually on Sundays, but I've decided to step away from phones and computers and internet technology, as much as possible, for my holiday over the next two weeks. While I enjoy the positive things these types of technologies add to our lives, I also don't mind living without them from time to time. I hope you're all enjoying your summer and finding great books to read! 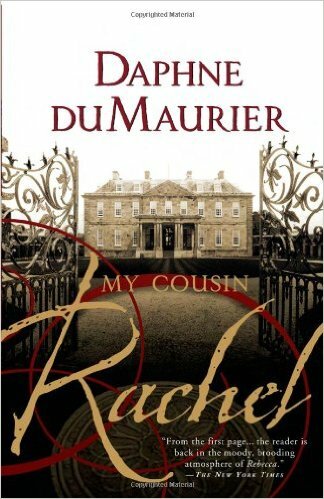 I am currently enjoying Daphne du Maurier's novel, My Cousin Rachel. I'm halfway through it and really enjoying it. It reminds me of her novel Rebecca in the way it feels. I'm taking my time reading it and enjoying the author's writing style, which I admire. I usually only take my Kindle with me on holiday, but I've already made numerous notes and tabs in the book version of My Cousin Rachel, so I'm taking it (and a couple of other "real' books) with me. I look forward to sharing some of my good book finds this summer when I'm back from holiday! "More Of This, Too, Please!" Have you ever read a book and wondered why you waste so much time on reading "lesser" books? I mean, it's not that you do it on purpose, it's that you don't always realize what you've been searching for until you find it. When my book club chose News of the World by Paulette Jiles, I was less than thrilled. When I previewed it, I didn't like the title, and I didn't like the premise: Texas in 1870? "Ummm, I like historical fiction, buuuut - no thanks." I'm just being honest about my first reaction. I'm happy to report, though, that I believe in always reading the book my club chooses and expanding my tastes in literature. What I discovered was...something I didn't know I longed for. News of the World is a great story! 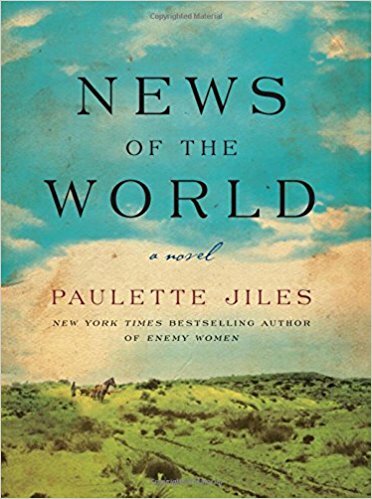 The tale is about an older gentleman who travels around North Texas reading the news of the world, from various cities' newspapers, from a podium. People pay a dime for admission to hear it. I never thought about this, you see. How DID people Iearn what was going on in other places back in the 1800s? The thought of what he does is interesting in itself, but that isn't the heart of the story. The conflict that drives the story is that the reader gentleman, Captain Kidd, is asked to return a young, ten-year-old German girl, named Johanna, to her extended family in South Texas. She was captured by the Kiowa Indians four years earlier and does not remember her past. She thinks she is Kiowa, and she does not want to be anywhere except with the Kiowa family she knows. Johanna resents being rescued and doesn't understand what's going on. Kidd and Johanna are in for a long, arduous journey from Wichita Falls to the San Antonio area of Texas, especially during this turbulent time in Texas history. There are many different dangers this unlikely pair have to endure together, if they hope to reach the girl's relatives and return her safely to her family. Of course,...Johanna also needs to quit running away and trying to return to the Kiowa Indians. And did I mention she doesn't speak English, and Kidd doesn't speak Kiowa? Needless to say, Captain Kidd has his hands full. There is a nice combination of serious, humorous, and heartwarming moments in this novel. I've marked several passages where I treasure the spirit and the wisdom in which Captain Kidd analyzes people and situations along the trail. He is definitely the kind of character we all wish we could meet in real life. I don't usually assign an actor to a part in a book, but I couldn't help it with this one. I kept seeing Sam Elliott as Captain Kidd. He would be so perfectly suited to the part. He is equal parts "grandfatherly" and "tough as nails" and just about as Texas as a man comes. And, it's rare for me to say this, but...I would love to see this made into a movie. More people need to be exposed to this story. I find myself extremely glad I took a chance on this one with my book club. I wasn't the only one who was pleased. Everyone else was less than thrilled at the choice at first, just as I was, but we all came back hugging our books to our chests and giving glowing reviews! Surely, there are enough deep, dark, sad, disheartening books already written in the world that it wouldn't hurt to add a few more positive ones, right? I mean, "lighthearted" doesn't have to mean it's shallow or a "fluff" read. Right? I needed something lighthearted with substance. And I found it. Or, rather, it found me...by way of a good friend. I was visiting my friend, Allie, who has a home library much bigger than mine (which I love her for), and she handed me a book off her shelf one day and said, "When you need something light and enjoyable, you should read this." I took the book and put it in my TBR stack at home. I can sum up the flavor of this book with just a few key words without giving anything away. Are you ready? Now, while the words I chose may seem like your run-of-the-mill teen drama, it really isn't. 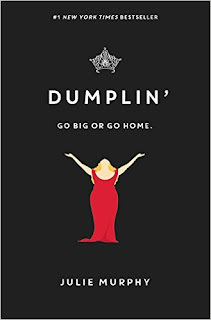 This book is filled with Southern humor, hard truths delivered with a soft touch and a smirk, and gives you a heroine you can't help but understand and cheer for. It's well-written in a simplistic manner that I truly enjoyed. Willowdean is the narrator in the novel, and she makes me smile and touches my heart. She gives insights about humans while telling us about her own struggles. And she's one of those characters I know I'll carry in my heart for a long time. 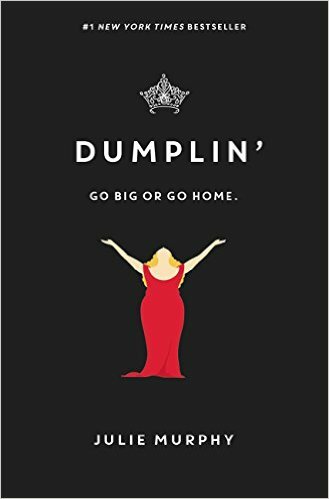 I'd like to send out a special thank you to Julie Murphy for proving a book can be lighthearted and deep, and for proving that humor and substance can go together quite well in the hands of a good writer.